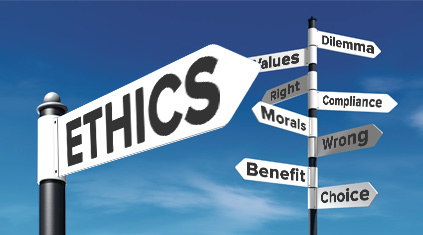 I have commented on the general topic of Stoic ethics before (here and here), but given that ethics is the fundamental pillar of Stoic philosophy, I’m sure there will be plenty of other occasions to return to the subject. This post is about the treatment of Stoic ethics to be found in a chapter by Malcolm Schofield in The Cambridge Companion to the Stoics. The first interesting bit comes when Schofield discusses Zeno’s views on ethics, as presented by Stobaeus. According to Schofield, Zeno’s views are eminently Socratic, in particular he adopts the four fundamental virtues (wisdom, courage, justice and temperance) from Plato’s Republic, and imports the idea that things like health and sickness are not bad or good in themselves from the Apology and especially Euthydemus. In other texts we encounter a redefinition of the virtues, all cast in terms of wisdom. As Schofield puts it: “Zeno specified each of the other three in terms of phronêsis, practical wisdom (thus exhibiting a unity in plurality that Chrysippus would turn into a particularly subtle form of inseparability): justice as wisdom in matters of distribution, moderation in matters requiring choice, courage in matters requiring endurance.” I quite like this 1+3 version of the virtues, it makes more sense to me than to consider wisdom a fourth virtue on par with the other three. Schofield then moves to consider Zeno’s views as found in Diogenes Laertius, and in particular his distinction between things that have value (preferred, such as health and education), those that have negative value (dispreferred, like sickness and ignorance), and those that have neither. to discover “what is appropriate” — which is achieved through the practice of practical wisdom, the fourth Stoic virtue. Schofield then tackles the need the Stoics had to refute the Epicureans, who famously argued that pleasure (not virtue) is the fundamental good in life. According to Diogenes, Chrysippus argues — against the Epicureans — that the first impulse even of animals, let alone humans, is self-preservation, not pleasure. And Seneca points out, along the same vein, that human toddlers try to walk even though this actually causes them pain. Pleasure, then, cannot be the most fundamental animal or human instinct. Indeed, much of what we know about Stoicism directly from Stoics belongs to the Roman period, and it is all about practical advice: Seneca writes letters to his friends on how to deal with life’s situations, Epictetus gives advice to his students, and Marcus Aurelius reminds himself of the right things to do and the right attitudes to countenance. As Schofield writes: “It is in Stoic writings on practical ethics, which are still available to us, that we get perhaps our keenest sense of what it was like for ancient thinkers not just to subscribe to Stoicism as a philosophy, but also to move about in it as their intellectual home and as the air they breathed.” And he gives a number of examples, from which I cite in part. This entry was posted in Ancient Stoicism, Virtue Ethics on September 8, 2015 by Massimo. What are the fundamental virtues? The Stoic view is that Wisdom, Courage, Temperance and Justice are the most fundamental. But why these? Dahlsgaard, Peterson and Seligman – Shared Virtue: The Convergence of Valued Human Strengths Across Culture and History Across Culture and History (http://bit.ly/1VL8mHJ) surveyed the main schools of thought in China, South Asia and the West. Strengths that forge connections to the larger universe and thereby provide meaning; examples include gratitude, hope, and spirituality. On this understanding we have an innate human drive to become better than we naturally are and the virtues arose out of an impetus to overcome our nature. Park, Peterson and Seligman followed up with another study where they measured character(virtue) strengths in fifty-four nations and the fifty US states (http://bit.ly/1Li1MB2). The measurements were done using a 5 point Likert scale(from 1 ‘‘very much unlike me’’ to 5 ‘‘very much like me’’). The US rated kindness, fairness, honesty, gratitude and judgment most highly(3.99 to 3.91). The differences between nations are small with it mainly being a question of differing emphases. 1. Wisdom and knowledge: cognitive strengths that entail the acquisition and use of knowledge. 2. Courage: emotional strengths that involve the exercise of will to accomplish goals in the face of opposition, external or internal. 3. Humanity: interpersonal strengths that involve ‘‘tending and befriending’’ others. 4. Justice: civic strengths that underlie healthy community life. 5. Temperance: strengths that protect against excess. 6. Transcendence: strengths that forge connections to the larger universe and provide meaning.
. religiousness: having coherent beliefs about the higher purpose and meaning of life. There is one important caveat. The questionnaire was administered in English so this might reflect Anglo-Saxon influence though the authors claim that test samples in other languages yielded similar results. I’ve been mulling over the virtues as a Gestalt whole — interconnected and interpenetrating each other. Each virtue is necessary for the others: can you be just without the courage to put something into practise; is excess a part of any virtue; can you be wise without a praxis of justice. Our focus and concentration on a specific virtue brings it into being just as our focus can show an old lady or a young girl. Also, there seem to be partisans of each virtue who make it the basis for all the others. Certainly they can’t all be first, except as a Gestalt. Well, the Stoics believed in what is called the unity of virtues, which they presented in different ways (there were differences between Zeno and Chrysippus). Fundamentally, though, wisdom is *the* virtue, and the others represent different aspects, or applications, of wisdom. Consequently, one cannot be a courageous mass murderer, because “courage,” in Stoic lingo, is inherently a moral virtue (like all the others). Certainly you can’t be a moral mass murderer but it seems to me that a MM facing overwhelming odds and overcoming fear could fulfill all the elements of courage except the morality. So what makes such an act immoral? It may be that in ancient times a MM would be a hero slaughtering a village of men, women and children to disable an enemy. Giving in to bloodlust is the natural thing to do, as our history shows again and again. It takes courage to restrain that bloodlust and wisdom to discern better courses of action. It takes courage to follow the better course of action against our natural impulses. It takes courage to persevere against all the odds and the questioning doubts of one’s fellows. It takes courage to keep a clear head amidst the clamour and fury of conflict. It takes courage in the aftermath to restrain the natural impulses for revenge and settling the score. It takes courage to show forgiveness and kindness to one’s enemies and to work for reconciliation. but that’s the (Stoic, and actually also Aristotelian, and other Greek philosophies’) point: courage and the other virtues are inextricably infused with moral connotations, which means that a mass murderer cannot be courageous (in the sense of virtue) regardless of how much danger he willingly faces. Yes, it is then true that a warrior could still be called courageous if he kills a large number of enemies in defense of his polis, but that’s normally not what we mean by mass murderer. Indeed, the term “murder” wouldn’t apply, since it refers to *unjustified* killing. I am commenting because I recently had an incite on this point: the “virtuous” thing to do is ~always~ the wisest thing to do in every situation. Therefore courage without wisdom (ie., the MM in this case) would be courageous, but not virtuous. Only Wisdom is ~always~ virtuous, because of its relationship to human reason. A human being cannot be wise and evil. These two moral characteristics do not coexist. Wisdom is knowing how to carry out the virtuous action at the right moment. The Wise human being will do the right thing (to the best of their ability in the moment). The other Stoic virtues are necessarily moral–inescapably moral. Therefore, you can only be wisely courageous or unwisely courageous (one is a sign of virtuous character and the other is the sign of a MM). Question: Does Stoicism have anything to say about the virtue of charity? E.g., helping the poor, tithing, volunteering in a soup kitchen, etc.? In my readings on this site and on linked sites I don’t see any reference to such things and am wondering if I’ve not yet encountered them or if there really isn’t anything to encounter. Or if perhaps I am failing to infer them from higher level Stoic principals. Ha, I meant “insight” not “incite”–must be a bad day for thinking about words. you got it exactly right. The Stoics, like Socrates (in the Euthydemus, for instance) thought that the virtues were all aspects of one fundamental virtue, wisdom. And wisdom is the “chief good” precisely because it allows us to use properly everything else, as you say. Not directly, though charity falls under the purview of Stoic cosmopolitanism and their Discipline of Action, and is therefore related to the virtue of justice (by which the ancients meant a much broader thing than the modern rather legalistic term implies). I can go along with the idea wisdom as the unifying virtue. If I had to pick one that’s the one I would probably go with. I’m not sure however I would define wisdom as being based purely on reason. I think emotional intelligence is a key part of wisdom. Even if reason is defined on an optimal capacity for combining rationality and emotionality, I still think there are other residuals that contribute to wisdom. I think for example that perceptual capacities contribute quite a bit to wise action as well. contra popular understanding, the Stoics didn’t define anything according purely to reason. For instance, they claimed that apatheia (tranquillity) is achievable only if one cultivates positive emotions. What they did claim was that reason ought to judge (give or not give assent) what is presented by the emotions, otherwise we are not different from animals. That said, however, the ancient Stoics were a bit too dichotomous about mind and body, a position that needs to be revised in light of the intervening centuries of science and philosophy.